Mix the refined flour, cornflour, salt, pepper powder, mixed herbs, paprika and sufficient water in a bowl and whisk well to make a thick batter. 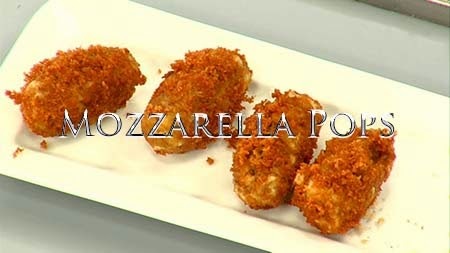 Dip the mozzarella strips in the batter and then coat it with the bread crumbs and keep it in the refrigerator of fifteen to twenty minutes. Heat sufficient oil in a kadai. Deep fry the mozzarella strips till golden. Drain on absorbent paper and serve hot.